The thermomix is a German made kitchen appliance that has the ability to heat, chop, blend, beat, mill, emulsify, crush, mash, boil, melt, steam and knead. It can be used for meal prep work, to make your own basic ingredients, desserts, soups, entire meals, doughs, drinks and I’ve even seen recipes for homemade laundry powders and body products. As a mum, I also use it to make finger paint and play doh for the kids! 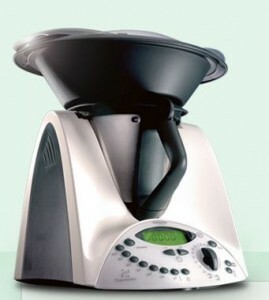 Our thermomix is utilised on a daily basis and has been since we got it. My husband learned to use it as well and even the kids get involved. It’s used for dinner almost every night and often used for other meals as well. I like porridge, so might use it for that, or in a hurry I’ll make a green smoothie like THIS one. 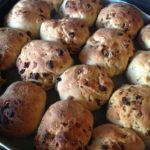 We are a sandwich loving family, so homemade bread or rolls are a favourite. Soup is also a winner, especially when we have visitors. One of our favourite thermomix dinners is this BEEF RISOTTO – a big winner with the kids. Or we might use it to do the mash and steamed veg to go with sausages or baked chicken pieces cooked the conventional way. … I’m sure I’m forgetting things and I’m also aware that there is more I can do with it that I haven’t tried yet. It also got a workout last Christmas– all my gifts were homemade, thanks to Thermione Grainger (yes, my thermy has a name!) and consisted of infused oils, relishes, jams, balsamic reductions, lemon butters, Scottish tablet fudge and salted caramel ice-cream sauces. Of course all these things are possible without a thermal cooker; it’s just the thermomix makes things easier and often faster. Take for example a Chicken and Mushroom Risotto. Comparing two similar recipes- one thermomix and one conventional- it’s not hard to see that the time and labour involved are quite different. The thermomix recipe, including the pre-grating of your parmesan, chopping and sautéing of the onion and garlic and the first sautee of the rice and wine takes about 6 minutes all up. The bulk of the cooking then takes 16-17 minutes and this is hands-free- the machine regulates the temperature and does all the stirring for you. Once that is done, you add the cream, cheese and seasonings, stir through and let stand for 5 minutes before serving. All up, you’re looking at around half an hour from start to finish and just over half this time can be spent doing something else. With the conventional recipe, the times have been summarised for you- 10 minutes prep followed by 40 minutes cooking time. That gives an actual time difference of around 20 minutes but if you factor in the time spent stirring etc it is closer to 35-40 minutes of time saved by using the thermomix. 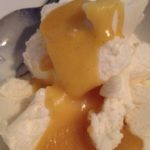 A side benefit of the thermomix has to be the online Recipe Community- a thermomix run website where users can submit and peruse all kinds of recipes. So although there are a number of recipes books you can buy, it’s not necessary to do so. 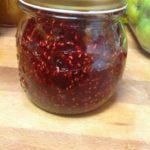 There are also heaps of blogs, facebook pages and websites made and maintained by dedicated by dedicated thermomix enthusiasts that also contain lots of recipes, tips and tricks to keep things interesting. 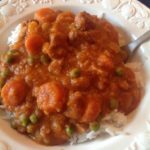 If you are concerned about additives or preservatives, or have an intolerance or an allergy in the family or are following a special diet of some kind then the beauty of the thermomix for you is that you can control all ingredients and easily make foods that you can guarantee are safe or suitable for your dietary requirements. 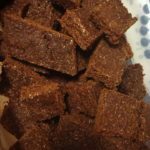 There are lots of thermomix recipes available to cater to many needs and diet choices; gluten free, dairy free, paleo, wholefood, FODMAP, Failsafe, nut free, egg free- you name it. 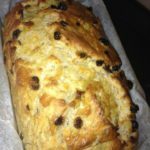 Many people find that using the thermomix is faster than conventional cooking to make their own basics like breads, flours, non-dairy milks etc and it is also often cheaper. The other bonus there is the flavour- you can play around with recipes and experiment to find what works for you. Even without special dietary requirements, you can still get a lot out of cooking with a thermy. We fall into this category and since we started using our thermomix, we have cut out lots of packaged and processed food. The spin off from this is that we make a lot more food from scratch and have become more adventurous with our cooking. Before owning a thermomix, I would never have attempted to make certain things from scratch. Recipes like hollandaise sauce, puff pastry, eggs sous vide, swiss meringue buttercream, yoghurt and even jams and relishes seemed to difficult or complex to bother with- it has definitely expanded my repertoire! I’ve seen some people comment that they wouldn’t want one because they enjoy the process of cooking. That’s fine, so do I! In my case, I still use my stove and oven when I feel like it, but as a family of 6 with both parents working, it’s great to have the thermomix option. 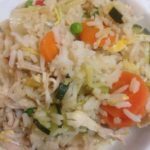 We can often whip up a quick soup or other simple meal in less time than it takes to organise a take away which is generally cheaper and usually healthier too. 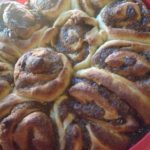 When it comes to breads, doughs and cakes, no, the thermomix can’t do the baking for you! However, things like bread dough are a snap in the thermomix, because it regulates the temperature to activate the yeast and kneads it much faster and more efficiently than I could by hand. You still have to prove the dough, which can be done in the machine. I tend to knock the dough down by hand (though you can do this with the machine) before hand shaping and putting in the tin for the second rise. Using the thermomix, I have bread dough ready to prove in just a few minutes as opposed to the 8-10 minutes hand kneading that I’d have to do without a thermomix. Cake batters, biscuit doughs and the like are usually mixed and ready within a minute or two but again, you will need your oven to bake. As for other cons, yes, there are a couple. Cooking mince is one of the few things I had to troubleshoot. The thermomix has a tendency to really mush it up so that it is super fine- think baby food. My family are decidedly not fans of this texture. However, there are different methods you can use to avoid this and once you work out a method that cooks it to your liking, you are good to go- all it takes is adjusting the stirring speed or using the butterfly attachment. Another small issue for me is that many of the all in one meals have the meat steaming above the vegies or side dish as it cooks. This is not a problem all the time or for most people, just a preference thing- I don’t personally like steamed chicken (though I don’t mind other steamed meats) so for recipes that call for it, I adjust them and cook the chicken on the stovetop instead. So…How much do they cost? At just over $1900 it’s a big investment for most people especially when you consider that there are other thermal cookers that can perform the same or similar functions. However there are a few good reasons we decided on the more expensive model. Firstly, the cheaper models are often copies of the earlier model of the thermomix. The TM31 model that I have is an improved design- it has the reverse function, integrated scales and the Varoma (steamer attachment) and is powered by a reluctance motor as opposed to a brushed motor. As far as I know, none of the cheaper versions have a reverse function, some don’t have inbuilt scales (though I believe at least one of the cheaper options comes with a set of digital scales) and none of the others has the same type of motor. The benefit of the reluctance motor is that it is considered maintenance free- it has less moving parts. The other type is a belt and gear drive motor which generally means more wear and tear and a shorter lifespan of the motor. Another bonus to buying a genuine thermomix is your consultant. You cannot buy a thermomix new through a retail store or website- it’s all done through an actual person (a rarity these days!) Your machine is hand delivered to you and your consultant spends time showing you how to use the machine and will make something with you. In my case, my consultant came over and helped me make a batch of vegetable stock concentrate- something that has become a staple ingredient for many of the meals I make. Your consultant is also available for any after sales questions or concerns which is very handy. After doing my research and having a demonstration, I decided to go for this option because I knew it would be a well used appliance. It seemed counterproductive to purchase an outdated design with less features and a more vulnerable motor with little to no after sale support even if it meant spending more- I wanted to get a high quality machine that would last and so far I haven’t been disappointed! Great review Amy…. Thanks for posting this — you have covered all the bases, and so thoroughly! I look forward to listing yours among the top reviews that I link to from my blog. I believe you’ve just inspired a few parents to investigate Thermomix further 😉 Cheers, H.
Great review. I’ve had mine for almost two years and I am still making so many new recipes and converting my old faves. It’s your 2nd set of hands in the kitchen and cuts prep and cooking times down. The bowl is generous in size despite people thinking it wouldn’t feed a big family, we are a family of 6 and it fills us up daily. Thanks for the feedback guys, I tried to give a thorough picture of how we use our tmx and how it’s changed the way we eat. We too are a family of 6 and have no problem with the bowl size! Great review! Just thought i’d add that I’ve found a way to cook mince without it breaking up, and that is to insert the basket into your sauce and tip the mince into that! Break it up a bit with your spatula halfway through cooking time, and then tip it into your sauce at the end! So much better, because I’m not a fan of the grainy mince mush either! Oh, and the Thermomix CAN cook cakes, bread for you ;). I’ve steamed a whole cheesecake, muffins in silicon cupcake papers, creme brule in ramekins, and steamed pancakes, and dumplings! Steamed buns too. Not quite ‘browned’ of course, but the point is, it can cook these foods! Thanks for a really good review. I am disgusted with my Thermomix. After 5 years of use it has started to have problems and to fix it I have to pack it in a box, wait all day for it to be picked up at the convenience of the courier, wait all day again for it to be dropped off, do without it 2 weeks, and pay for the privilege. Worst of all, I have been feeding my children the harmful chemical BPA for 5 years because they told me it was ‘food-safe’. Anyone in their right mind understands it cannot be food-safe if it has BPA in it which is connected by scientific studies to diabetes, heart attack, cancer and hormone disruption. Thermomix poisons your family and you pay $2000 for that privilege. I am truly gutted by the level of Thermomix’s deception and lies. Money is their god. I’m sorry to read that after 5 years of use your machine needed repair. As far as BPA, there seems to be an awful lot of conflicting reports. I would say the jury is still out, personally, though I can understand why people might choose to avoid it.